The gospel of Jesus Christ has the answers to all of our problems. The gospel is not a secret. It is not complicated or hidden. It can unlock the door to true happiness. It is not someone's theory or proposition. It does not come from man at all. It springs from the pure and everlasting waters of the Creator of the universe, who knows truths we cannot even begin to comprehend. 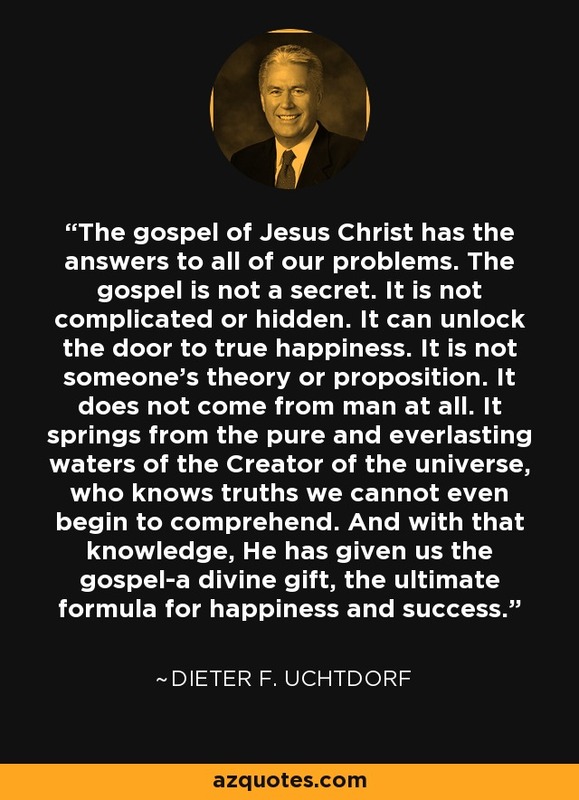 And with that knowledge, He has given us the gospel-a divine gift, the ultimate formula for happiness and success.